PLEASE NOTE: This is the digital version of this book. Upon completion of your purchase you will be emailed a link that will allow you to download the file. This PDF file can be viewed on any PC or mobile device that has a PDF reader. This is the Spanish version of this book. Diary of A.J. 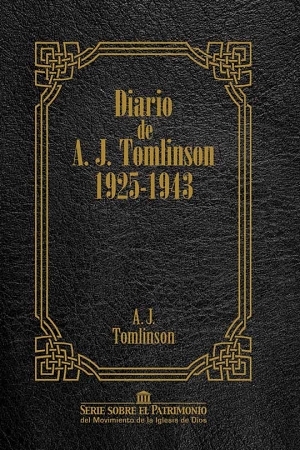 Tomlinson 1925-1943 is the 5th book in the Heritage Series. It is taken directly from Tomlinson's handwritten diary. It gives great insight into the beginnings of the Church of God and, eventually, the Church of God of Prophecy, from the man who was at the forefront of the movement. The Heritage Series is dedicated to celebrating the heritage of the Church of God movement and its leaders. It encompasses various historical documents and writings from the leaders within the movement who had a significant impact on the church and its doctrines.